For everyday drips and clogs, you can save the cost of a plumber by doing the work yourself. 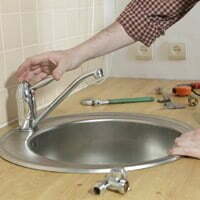 Check out our information on repairing a toilet and fixing a leaky faucet to find out how. Beyond these types of basic plumbing repairs, you have to know when to call in a pro. Plumbing isn’t difficult, but it requires a lot of knowledge. Code requirements are just a small part; you also need parts knowledge and experience with the materials. For instance, knowing how hard you can crank on PVC before it cracks takes time to master. Not having a feel for this can turn a $10 repair into a flood of problems. When checking out plumbers, ask for proof of a license. Most states require plumbers to be licensed, and they typically provide a number you can call to verify that the license is current and that there are no active complaints. Any plumber you consider should also hold a current workers’ compensation policy and a minimum of $500,000 liability insurance. The best way to find a good plumber is to ask friends and neighbors, remodeling contractors and real estate agents. Nothing holds up a home sale faster than plumbing problems, so realtors often have a list of reliable, fast-response plumbers. Once you find a plumber you’re satisfied with, keep his numbers (office, home and cell phones, and beeper) handy for emergencies. 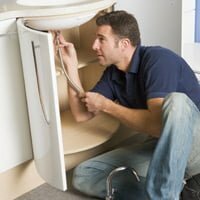 How Much Will a Repair Plumber Cost? The bill for emergency plumbing is almost always a shock. Are plumbers just taking advantage? Occasionally, but the short duration of the work contributes to the high rates. Though the plumber might spend only an hour at your home, you pay for his time (driving to and from the job, picking up parts) and more. For a plumber specializing in drain-clearing services, expect to pay at least $70 per hour for drain lines and $125 per hour for sewer lines. Most problems can be fixed in an hour. For weekend or night calls, add $30 to the hourly rate. For basic plumbing services, such as leak repair or installing new traps, you’ll pay $45 to $65 per hour in addition to parts, which the plumber will mark up from his wholesale price. For weekend or night calls, you’ll pay as much as $100 just for the call and $75 an hour after that. At these rates, you don’t want to spend much time chatting, but do ask what the repair/parts options are and get advice on how to prevent the problem from recurring. For nonemergency projects – a remodel or remedial work on your plumbing – you need a pro who understands residential-system design and knows the code in your area. He also has to be able to work in a finished environment. That means putting down a piece of scrap carpeting to protect floors and cutting precise, easy-to-repair holes in walls, and, then, only when necessary. The best source for this type of plumber is a general contractor. The contractor sees the plumber’s work before it’s covered up; you don’t get that opportunity. In addition, your contractor knows the telltale signs of quality work that you might miss, like clean solder joints, crisp 90-degree angles at joints and clean, properly sized holes in joists, studs and floors. Finally, a quality contractor will not risk working with a shoddy plumber. A simple error – a joint left unsoldered or a leaky PVC line – can easily devastate $10,000 worth of walls or hardwood floors and complicate the job with insurance claims, lost time and lawsuits. With so much riding on the plumber, contractors tend to stick with only the best. How Much Will a Remodeling Plumber Cost? Remodeling plumbers typically charge at least $45 to $65 per hour for one man and a truck. Again, this doesn’t include the cost of parts. But more and more plumbers are charging “by the fixture,” and their bids are based on the rough-in for drain and supply lines (around $300 to $400) and installation of the fixtures themselves (about $200). As with hiring a plumber for simple repairs, you or your contractor should ask for proof of a license and license number. Also verify that workers’-compensation and liability insurance policies are active. Hi! I liked that you pointed out how important it is to ask other people we know for an opinion on a good plumber and to make sure that the plumbing services also have a license. I’ve had a sink that clogs all the time and I need to look for a good plumber and this article really helped to know who would be the best one. I will make sure to keep these points in mind when I look for a plumber, thank you! The first thing you need to make sure is that the plumber is fully licensed and has full insurance. Insurance protects both you and your neighbor’s property in the event something goes wrong while the plumber is performing work on your home. How about the contractor you hire because he had the lowest bid and subcontracts a handyman to do the plumbing work or worse yet tries it himself. If plumbers charged $10 an hour and gave the parts away my husband would still complain!